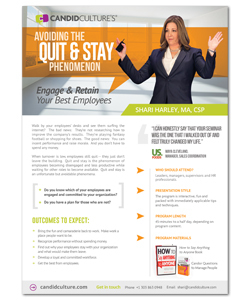 Leaders, do you know which of your employees are engaged and committed to your organization? 60-minutes to a full day, depending on scope of of corporate training and development. The management training program is interactive, fun, relevant and packed with immediately applicable tools and techniques.